Time: 6-8pm (1.5 hours of dance 30 min Q and A. 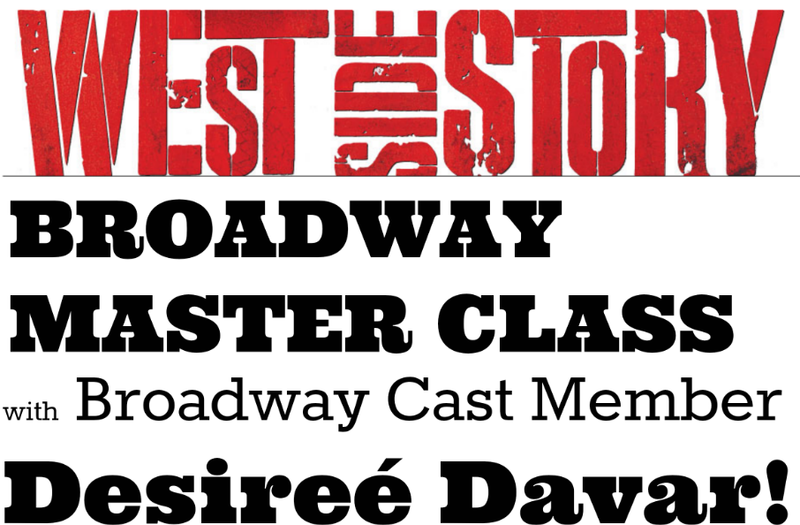 This 2 hour master class will focus on the original broadway choreography and style of West Side Story. From Dance at the Gym to America incorporating acting through dance is something needed for this musical! Desi will also teach and discuss what many of the movements mean from an acting point of view. A rare opportunity not to be missed! The class will be held on the stage in the middle of the current set for In the Heights! Cool!